While quashing the death warrants issued by a UP Sessions Court for hanging of the couple Shabanam and Saleem, a Supreme Court Bench comprising of Justice A.K. Sikri and Justice U.U. Lalit today held that death convicts cannot be denied Fundamental Right to Life. Shabanam and Saleem were convicted of killing Shabnam’s seven family members who were opposing the relationship. The murders had been executed in Uttar Pradesh in 2008. On May 15, the Apex Court had upheld the death sentence awarded to the couple. Maintaining the judgment awarded by the Trial Court which was confirmed by the Allahabad High Court, the three judge Bench, consisting of Chief Justice of India HL Dattu and Justices S.A. Bobde and Arun Mishra confirmed the sentence. Read the LiveLaw story here. The Sessions Court of Amroha then issued the death warrants within a week, without waiting for mandatory 30 days to allow the convicts to avail judicial remedy of filing petitions for a review of the 15 May judgement. Hearing arguments in the petitions, Shabnam v. Union of India & Anr. and National Law University, Delhi through Death Penalty Litigation Clinic v. Union of India & Anr, the bench comprising Justice AK Sikri and Justice UU Lalit held that the death warrants were issued in undue haste and were unwarranted. They were of the view that issuing the death warrants only six days after the death penalty for Shabnam and Saleem was confirmed by the Supreme Court, ignored the legal and constitutional options (open court review petitions and mercy petitions before the Governor of Uttar Pradesh and the President of India) available to them. He should therefore be given enough time to seek a review of the verdict, and also file a mercy petition before the Governor and the President. The bench ruled that the Government cannot hang convicted prisoners without first giving them a notice and allowing them to meet their family members. 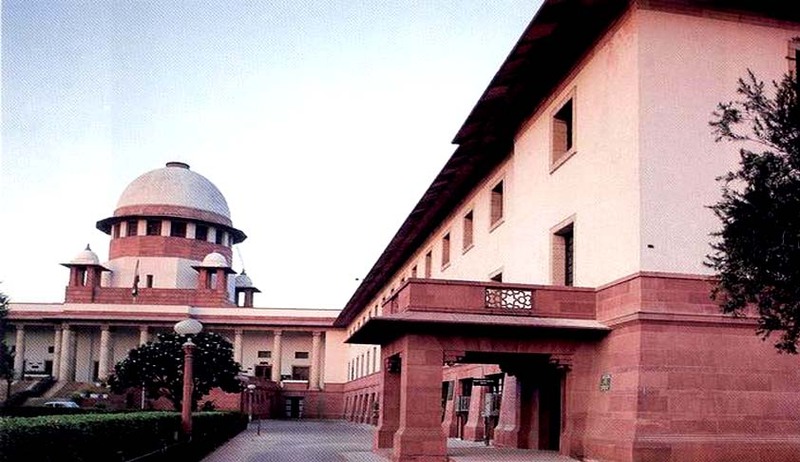 "That is why there are many judgments mandating the manner in which the death sentence has to be executed," the bench said and added that "therefore the procedure prescribed by the Supreme Court and the Allahabad High Court for execution of death sentence is in consonance with Article 21,” it added. Senior Advocates Raju Ramachandran and Anand Grover emphasized the importance of adhering to constitutionally compatible procedures when decisions with an irreversible impact on an individual’s life are taken by the State. Agreeing with the petitioners, the court affirmed the legal requirement to follow the procedure laid down in People’s Union for Democratic Rights (PUDR) v. Union of India by the High Court of Allahabad while issuing death warrants. The Court also noted in its order that the Jain Superintendent, Moradabad, where Shabnam is lodged, returned the warrant by pointing out that the Sessions Judge has not fixed the date and time for execution of the death sentence. Saleem is lodged in Agra jail. Representing Shabnam, Senior Advocate Anand Grover submitted that they would file a review petition. With this order the Supreme Court has laid down a very clear procedure that must be followed by all the states and the Centre once the death sentence is confirmed. No death warrant can now be issued until all legal and constitutional options have been exhausted. Further, the court noted that even when death warrants are sought, principles of natural justice and the due process of law cannot be ignored. Along with the recent judgments in Shatrughan Chauhan v. Union of India and Mohd. Arif v. Registrar, Supreme Court of India, this judgment is another step towards effective protection of rights of prisoners sentenced to death. The Death Penalty Litigation Clinic at National Law University, Delhi has coordinated the legal representation for Shabnam and Saleem after the Supreme Court dismissed their criminal appeals on 15th May 2015. The Clinic, established in August 2014, is now involved in the legal representation of around 30 prisoners sentenced to death. Read the press release of NLU-D Death Penalty clinic here.